The Electronic Security Association (ESA) is the largest trade association in the US representing the electronic security and life safety industry. And recently, the organization has gotten a new look. While, the ESA brand has received a bit of a refresh, its membership is still the same powerful group you remember. 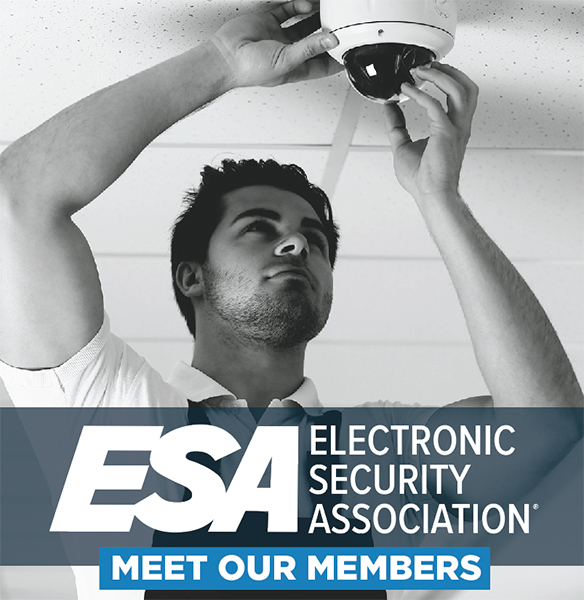 Over 2,000 companies that install, integrate and monitor intrusion and fire detection, video surveillance, electronic access control systems and more in commercial, residential, and government settings call themselves ESA members. These companies are new comers. They are the industry’s fastest growing companies. And they are the tried and true companies making magazine headlines. The association boasts powerful member benefits, such as discounts on training and certification (through its National Training School), access to industry-specific insurance at discounted rates through Security America, professional groups that provide rich networking opportunities, resources that impact business operations, professional development opportunities, government relations outreach, and more. Once a company is approved for membership, these companies that adhere to a strict Code of Ethics and Standards of Conduct, can use the association’s logo in their marketing efforts — a quality stamp of approval. Owners and managers of Alarm.org, a consumer education hub, ESA refers nearly 100,000 end users each year to its member companies. ESA’s members employ over 500,000 industry professionals and serve more than 34,000,000 residential and commercial clients. If you’re an integrator, installer or a monitoring professional looking to get access to a national network of peers, increase efficiencies and help grow the business, it’s time you discover the power of ESA Membership.